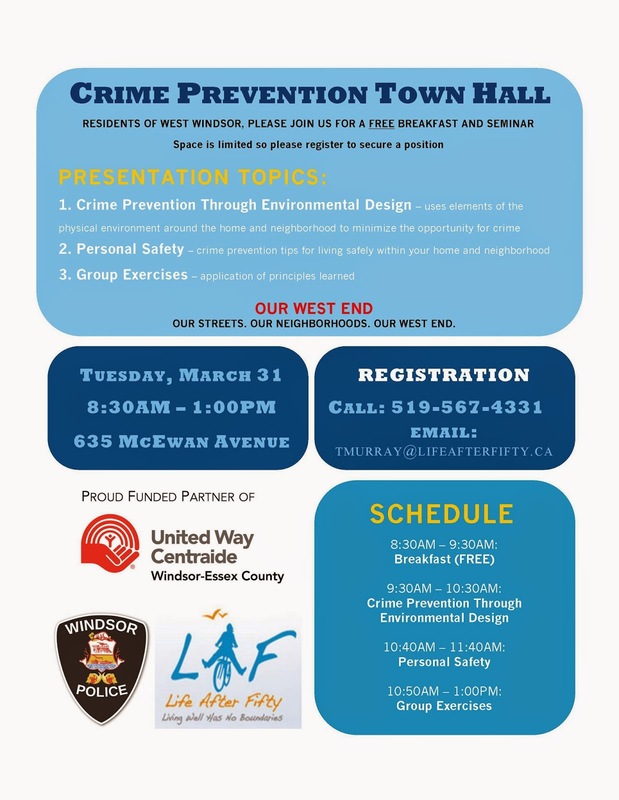 We are proud to announce that Our West End and Windsor Police, with the support of Life After Fifty and United Way, are hosting a Crime Prevention Town Hall on March 31st. Please see the flyer below for more details and please RSVP as soon as you can. See below an event held by the Sandwich Teen Action Group (STAG) that was sent to me from Cst. Flemming of Windsor Police Community Service Branch. This is open to all high school students. Friends, please see an email I received from the good folks at New Beginnings. This is a very successful initiative that has allowed many students to fully participate in their school proms. Please spread the word - any help would be greatly appreciated. 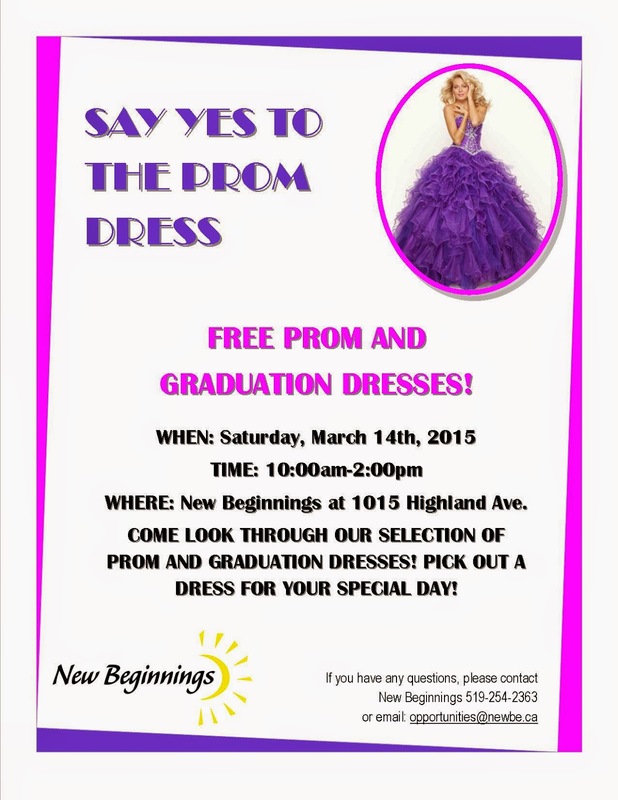 We over at the Youth Opportunities Strategy at New Beginnings are well on our way to planning another successful Say Yes to the Prom Dress event which is taking place on Saturday March 14thfrom10:00am-2:00pm at New Beginnings (Main Site) 1015 Highland Ave. The event is designed to allow young women from our community the chance to browse through our selection of over 1000 prom and formal dresses, try them on and take one home with them for their special event free of charge. See below two events. One from the Bridgeview Community Outreach Program Inc. and the other from the West End Crawlers. SATURDAY MARCH 21, 2015 * 6PM-9PM * 1636 TEC. RD. W.
RCCG ADULLAM CHURCH HALL TICKETS: $10 EACH (ALSO AVAIL. AT THE DOOR) * RAFFLE PRIZES * 50/50 DRAW Call 519 977 5510 OR 519 903 6382 ALL PROCEEDS TO THE BRIDGEVIEW COMMUNITY OUTREACH PROGRAM INC. & RCCG ADULLAM THANK YOU FOR YOUR SUPPORT! 2. 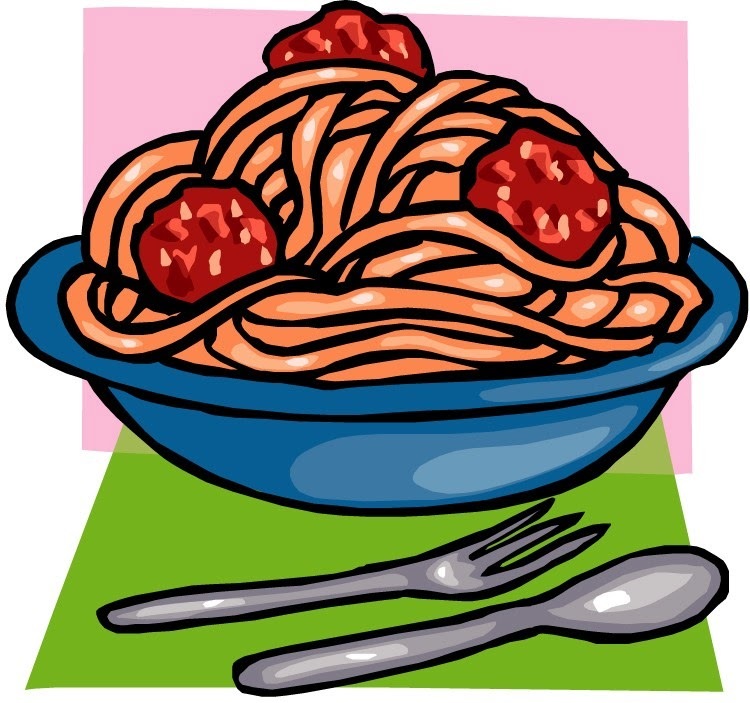 West End Crawlers is doing a food drive February 28-March 2nd. All donations to help support area food banks. Non-perishable food donations will be accepted at Stathis Grill, (1657 College Ave.) Email westendcrawlers@gmail.com or call 519 903 6382 for more info. THANK YOU FOR YOUR SUPPORT!! 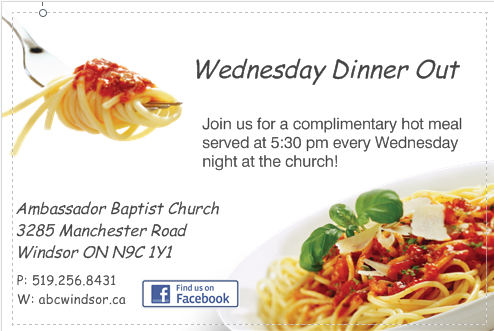 Ambassador Baptist Church is hosting complimentary dinners every Wednesday! See the details below.